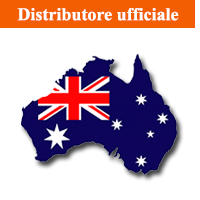 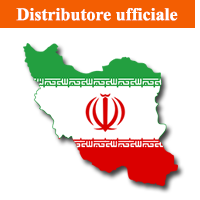 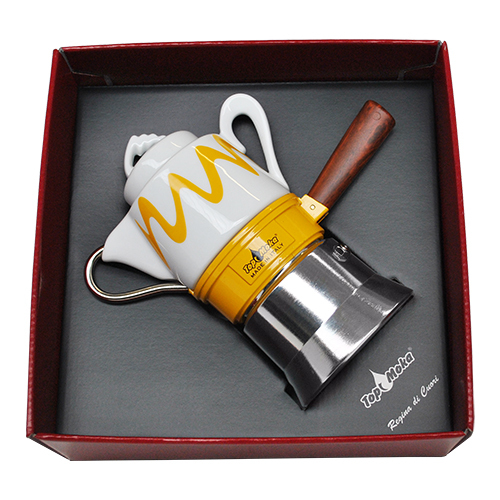 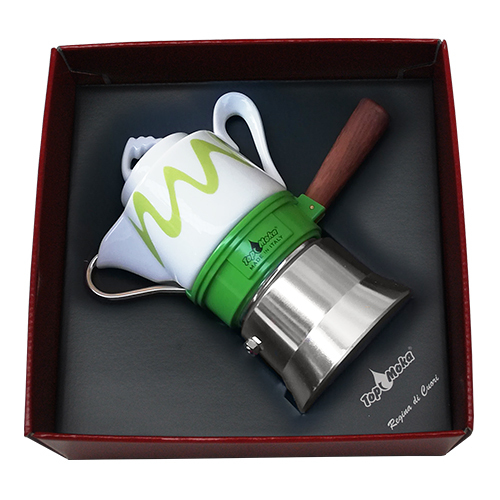 Italian coffee machine-coffee pot with jar-coffee maker produced in Italy-coffee pot with cups and saucers-design originale-luxury coffee pots-Italy. 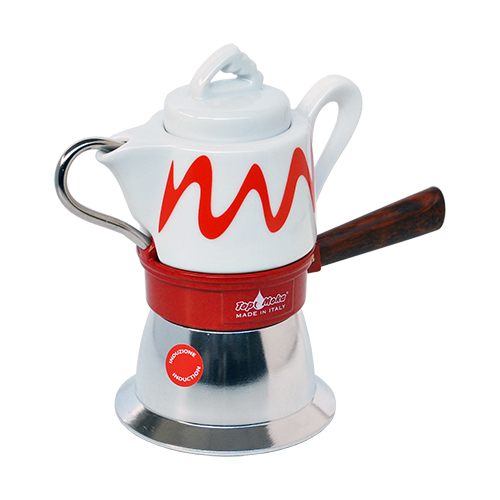 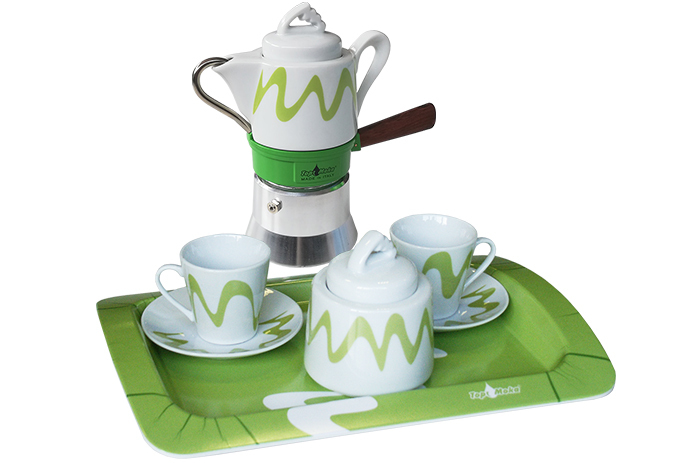 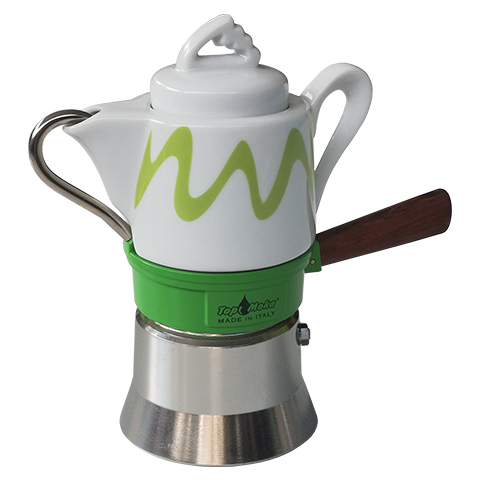 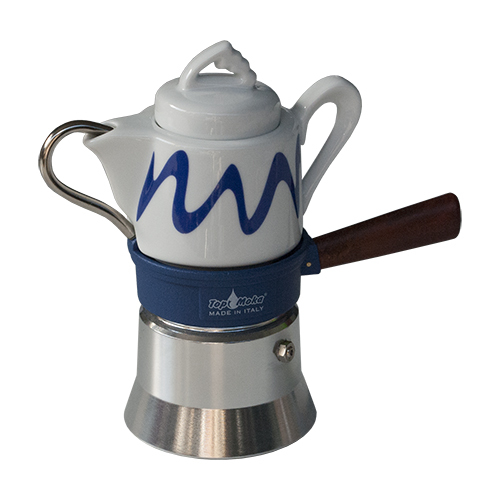 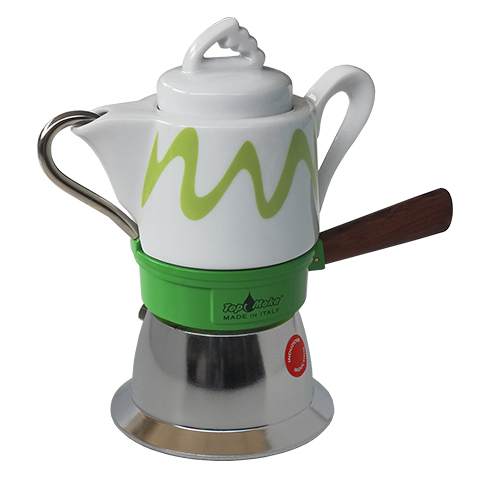 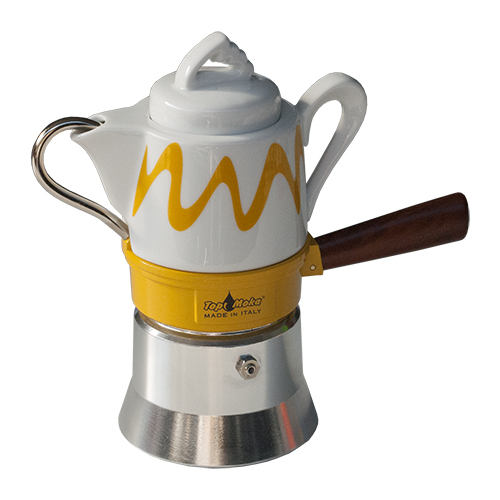 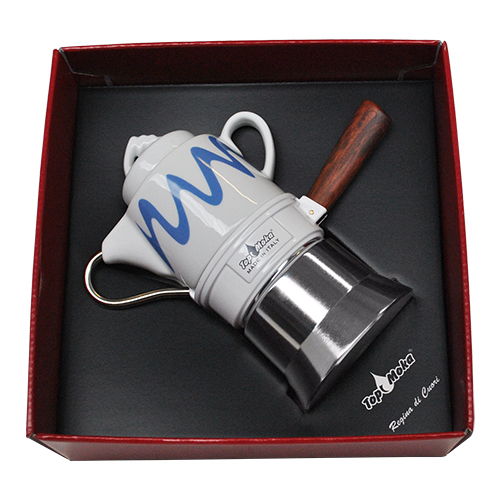 The Goccia, another Top Moka genius'touch! A revolutionary design and extreme practicality, make "La Goccia" perfect for a coffee of excellent quality, combined with an innovative look for a real touch of style. 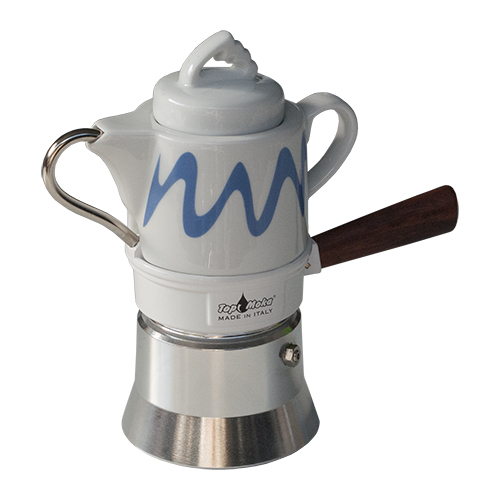 The Drop (La Goccia), can be removed from the heat source using its practical walnut-like handle,without getting burned. Before removing the "pot", just make sure it has finished brewing the coffee...otherwise it will fall...the Drop! 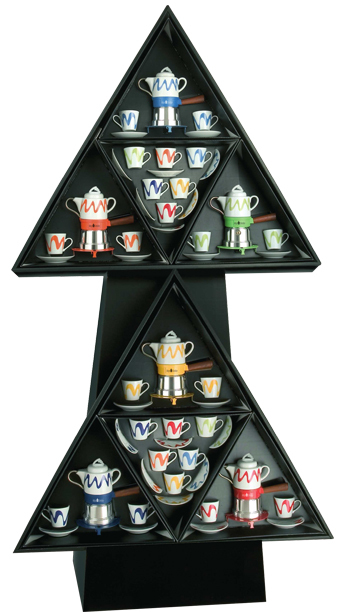 ...in the beautiful triangular gift-box with 2 cups and 2 saucers...and in its display rack specifically designed for her innate aesthetic qualities.